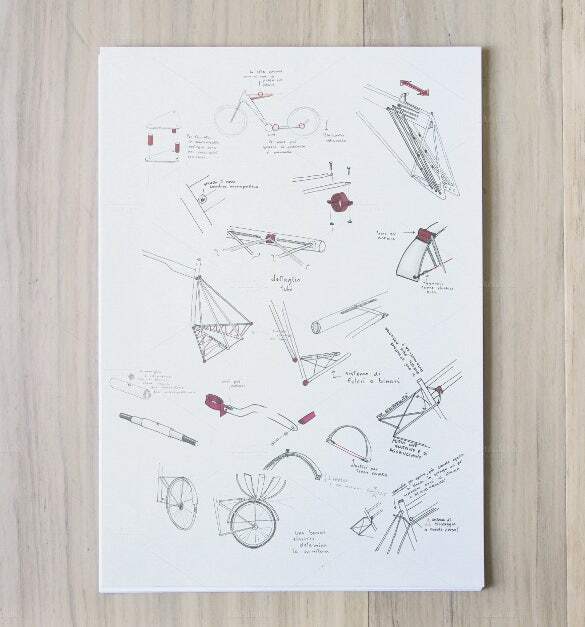 Are you about to create your letterhead and in need of a framing guideline? Well, you have A4 letterhead mockup and other such A4 mockups to help you in coming up with stunning office presentations. 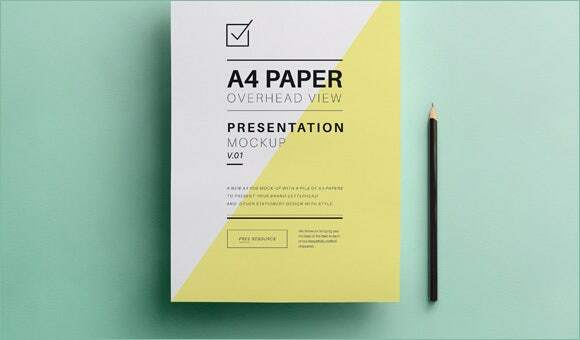 You may also see A4 & A5 Poster Mockup Templates for Designers. 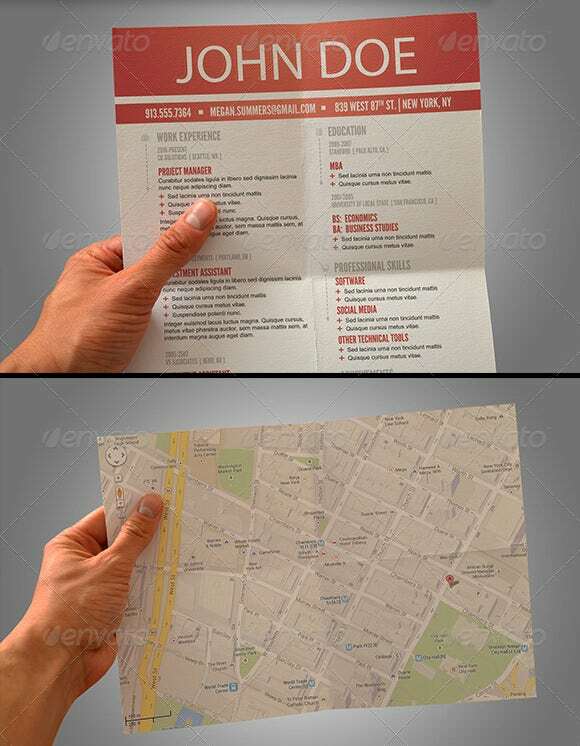 This A4 Paper PSD Mockup template is quite a unique and interesting one given its pulling fold creases that render additional depth to the template overall. 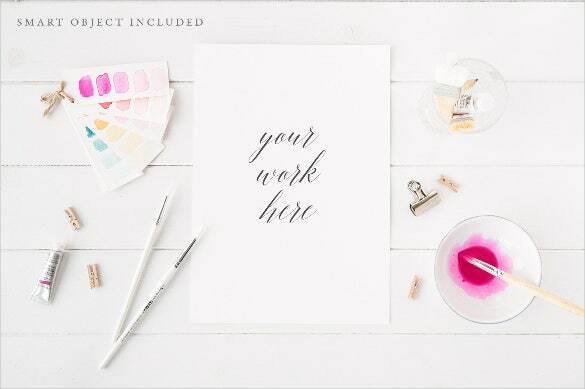 You can use its smart layer for displaying your own stationery designs. This A4 Paper PSD Mockup template comes up with data arranged in columns that offers a neat and smart look to the template. You can change the template color easily. 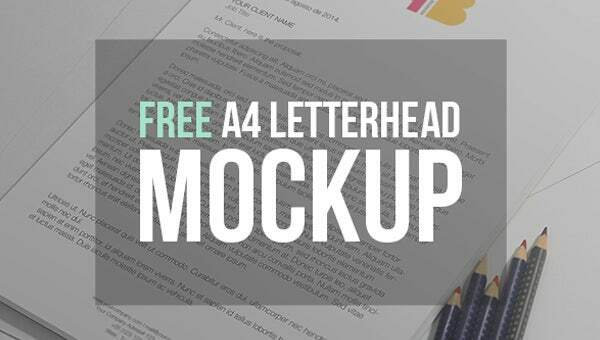 It’s a great A4 overhead PSD mockup template that will enable you to display your very A4 letterhead & stationery designs in great style. 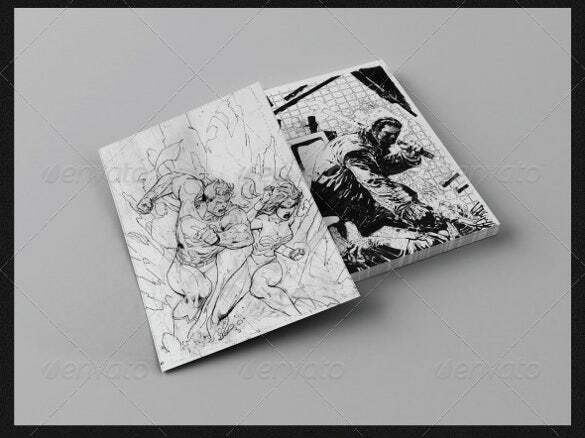 You are getting it for free along with a gift pencil. You are getting a smart a4 mockup for resume here that would be good when you are looking for a perfect layout for a functional CV that focuses more on your skills & talents. 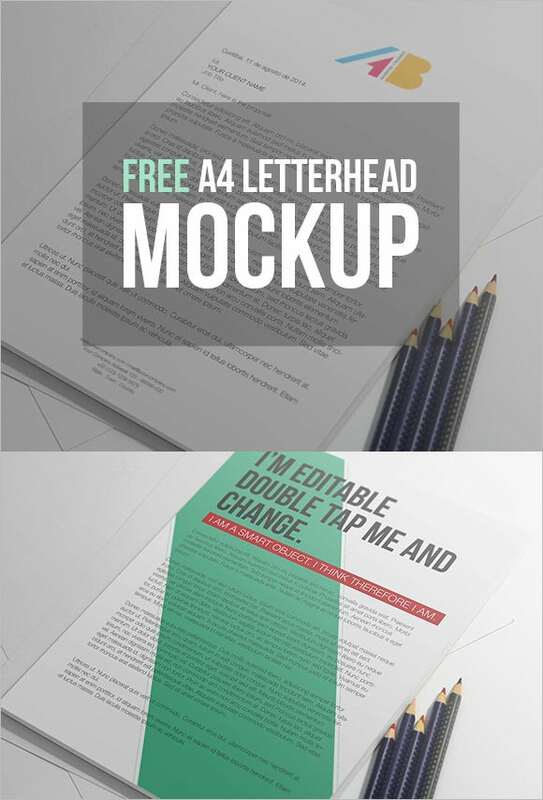 You are getting an easily customizable A4 letterhead PSD mockup template here which you can conveniently modify by double tapping on smart object layer to customize with your professional information. If you are looking for a neat layout for your company letterhead, this smart and suave paper mockup free is just the thing for you. The mockup has used smart objects. If you are looking for a paper mockup psd file with a vintage theme, this A4 PSD template would be amazing for you with its faded feel and worn-out edges. You are getting 5 files here. 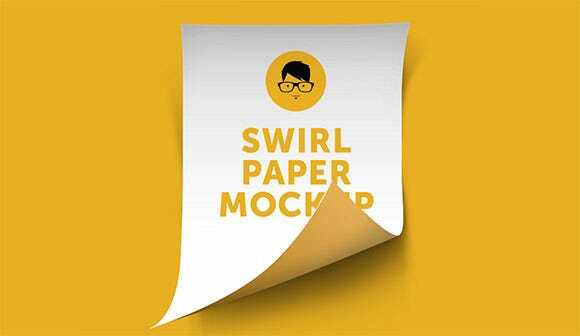 The bright yellow swirl paper mockup would serve as an excellent mockup for your brochures, banners or flyers. It’s fully editable so that you can easily customize with your own data & comes with well-organized layers. 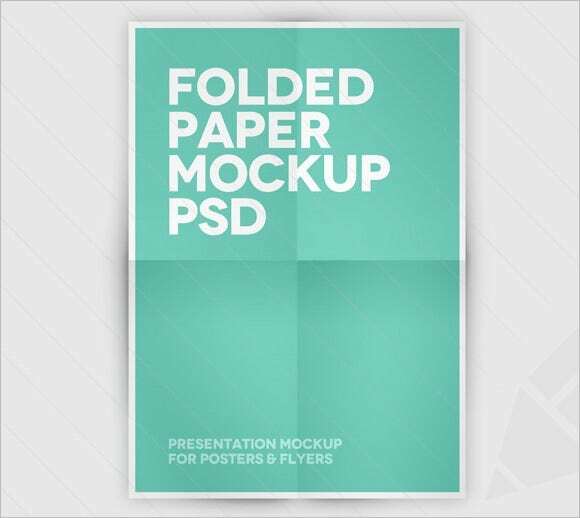 This printable paper mockup would make an excellent frame for your business letterhead and other such stationery formalities of your office. The fold creases render the desired additional depth to it. 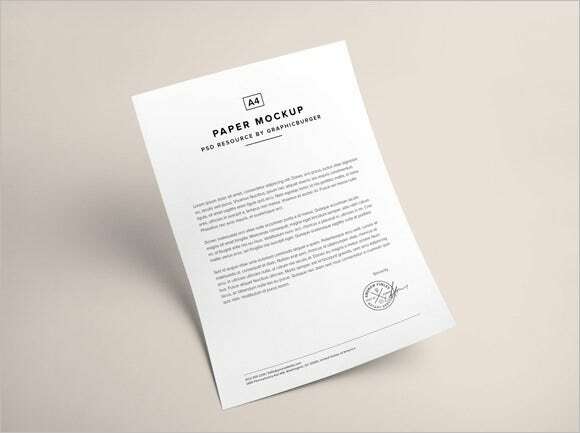 If you are in quest of a neat and smart paper A4 mockup for an official letter that will allow you to sign at the end with your company seal, this elegant template seems the right pick for you. 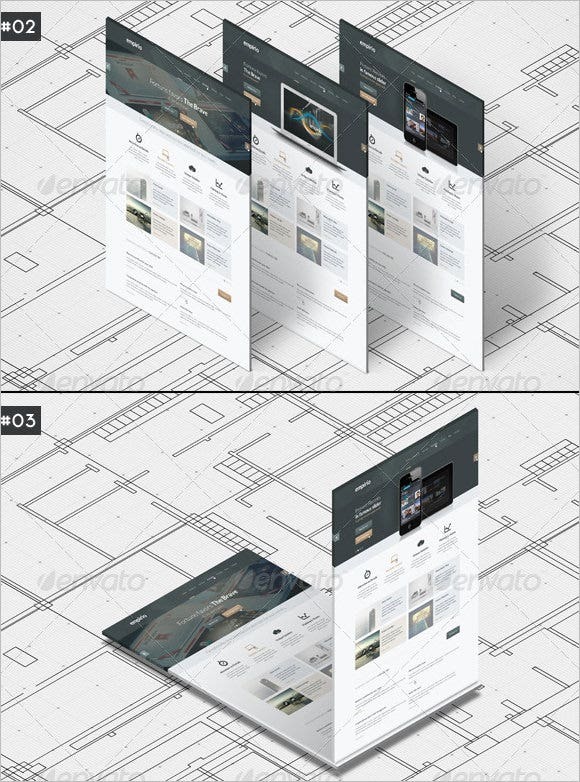 A folded feel assures a realistic depth to any mockup as is featured by this option here. The green backdrop looks soothing and you have a great pick for your flyers & posters here. You are getting as many as 3 mockups on wooden surface which would be helpful to showcase your CV in a standard professional format. The wooden texture has added an unmatched elegance to it. 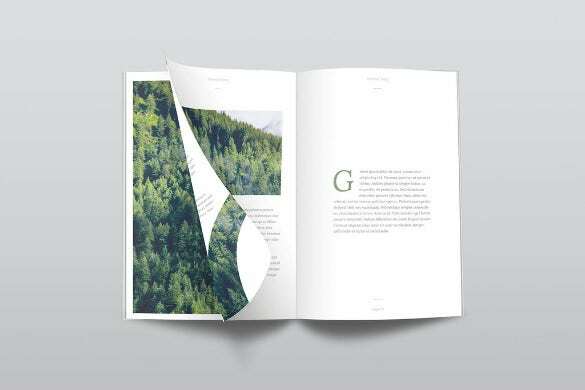 If you are looking for a smart and suave paper PSD mockup that would enable you to add pictures with your text, this mockup would be great. It also allows you to change colors. 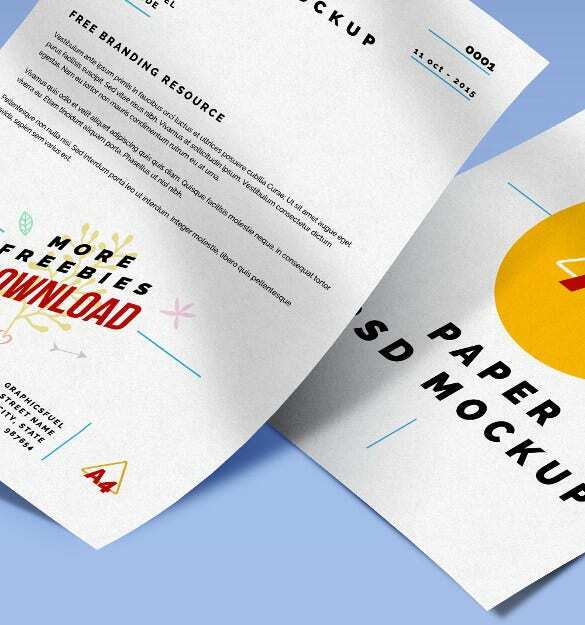 You are getting as many as 4 mockup paper templates here and a video tut is also included in the package. 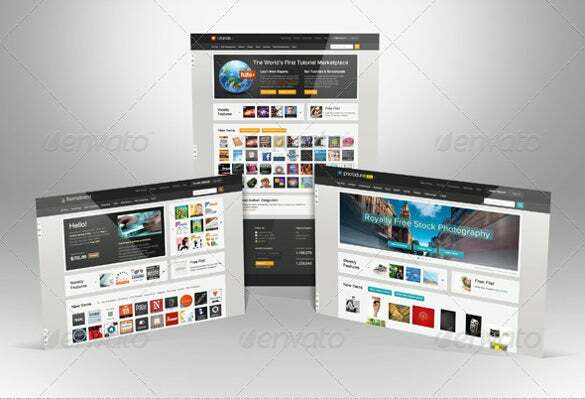 All the templates promise high resolution quality with photorealistic effects. 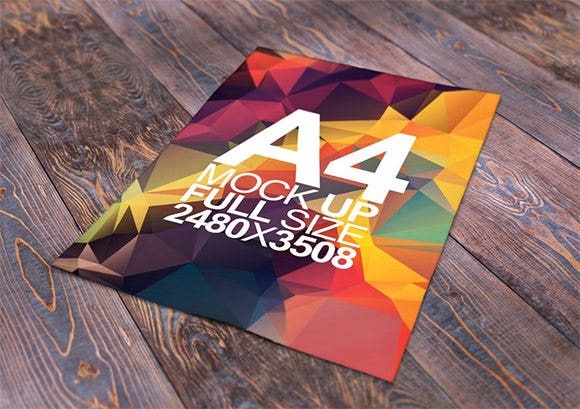 If you are looking for a glam A4 mockup for your flyers or posters, this a4 page mockup here would be simply amazing with its vibrant hues and edgy geometrical patterns. 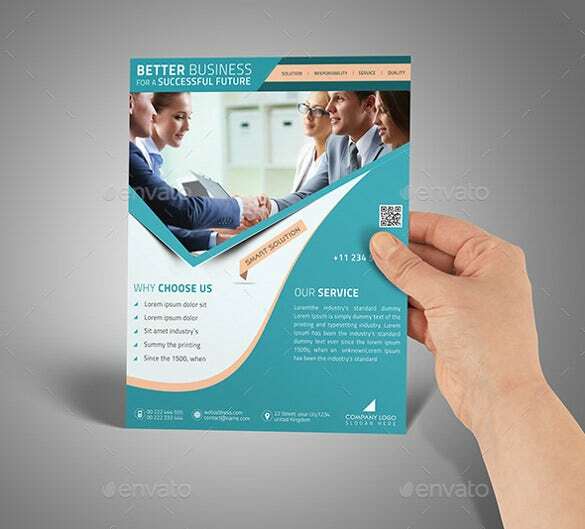 If you are in quest of a corporate-style paper mockup for your flyers or posters or branding preview or business letter that will enable you to add pictures with text, look no further than this mockup. 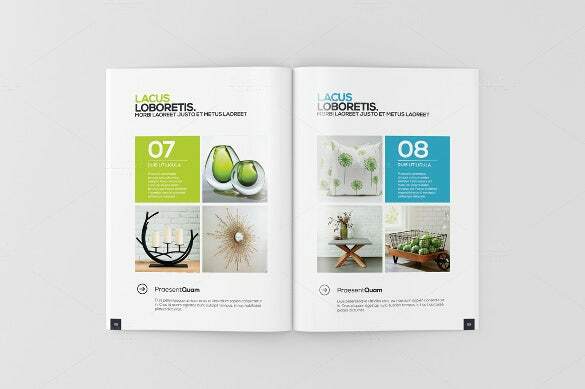 You are getting varied angles and mockups in high resolution here which can be used for your business flyers, resume, letterheads, posters or web design. The files promise realistic heading & shadows. 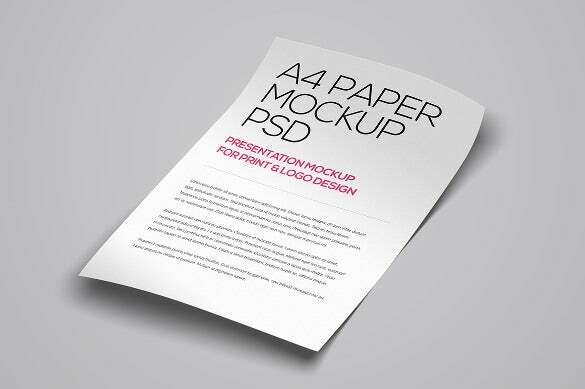 The A4 paper psd mockups are designed to help you in creating a wide variety of presentations. 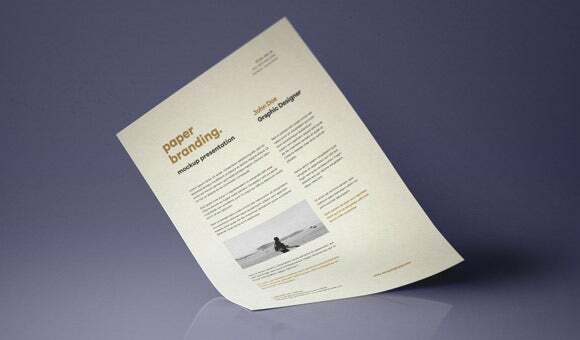 To start with, you can draft your office letterheads with them while you will also find mockups for resumes. 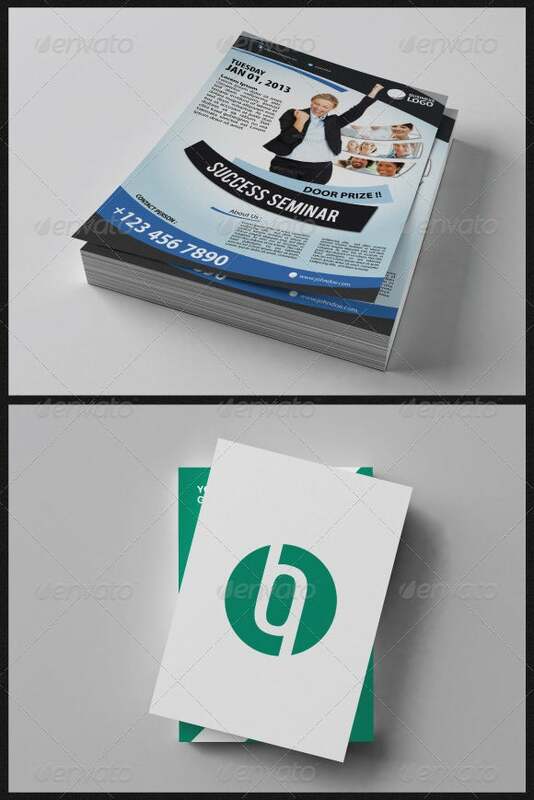 Then, the mockups are even designed for office letter mockup. Are you about to design posters or flyers for your business promotion and looking for some good ideas? The great bit is that you will have A5 poster template with amazingly stylish backgrounds to design your flyers or posters in a flash. 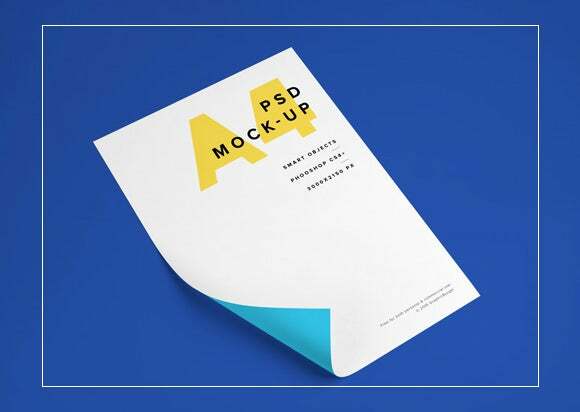 Whether you want your presentations to include photos along with text or plain text, you have A4 paper PSD mockups for everything. You can also use them for drafting certificates. 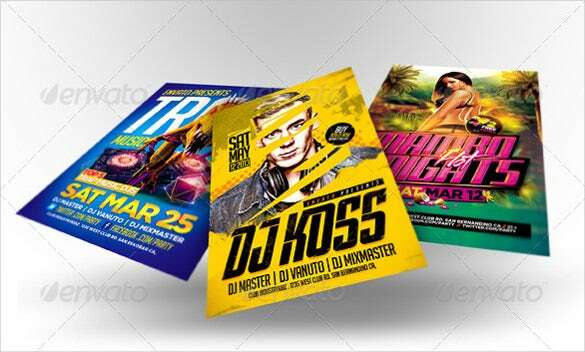 The online world offers a wide variety of Free A4 Poster Mockups to choose from. These are free to download and the best ones over the internet even offer editing instructions so that it’s easy to customize the templates for you. One of the major benefits of using mockups is that it relieves you from creating your entire presentation right from the start. You would be getting a readymade framework here with specified space for your company logo, text and pictures. The user here would simply need to download the mockup template and customize it with his own text. 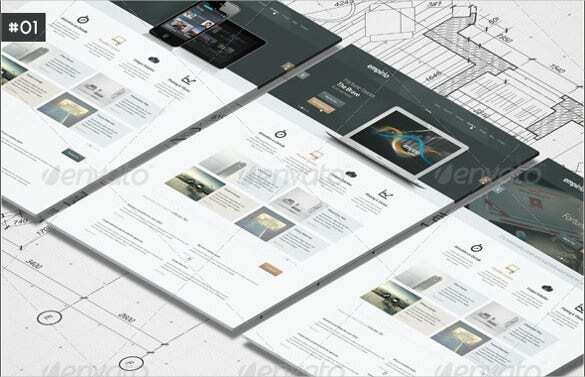 Mockups assure a fast service with little effort. 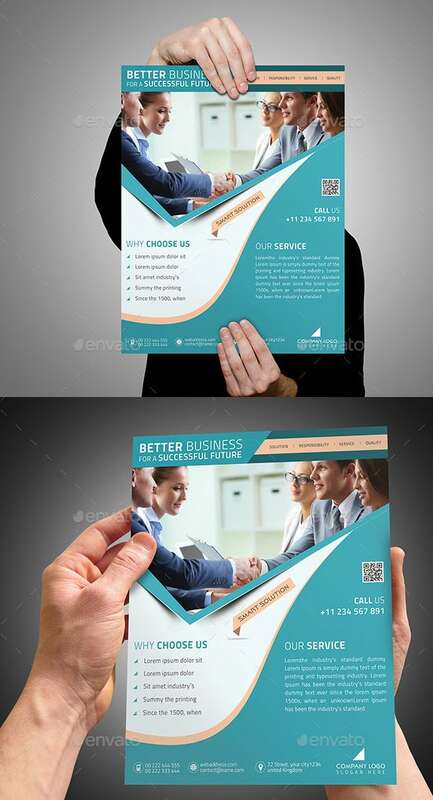 The best part is that, thanks to mockups, you can now easily come up with attractive flyers and posters even when you are not high on technical knowledge. 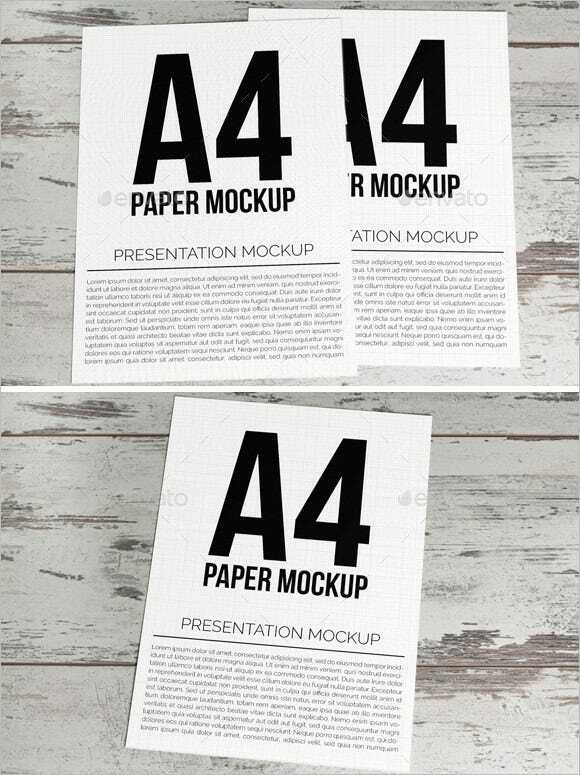 You would be glad to know that in most of the cases you will have free A4 sheet mockup templates. You may also see Beautiful Table Tent Mockups. 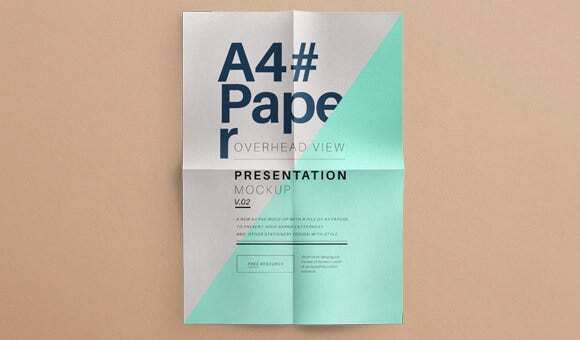 If you are looking for a clean and neat A4 size paper mockup for your presentations, this paper mockup would be no doubt a fabulous choice. It would be amazing for your illustrations. If you are looking to add good depth to your office stationery, go for paper mockups with creases or folds that offer a more realistic feel. To make maximum impression about your products or brand identity, use mockups that allow you to add pictures of your team members or products. If you want a vintage feel to create an exclusive aura with your presentation, go for mockups in handmade paper effect with beige backdrop for a subtle vintage feel. To ensure effective branding, choose mockups that allow you to upload your company logo. 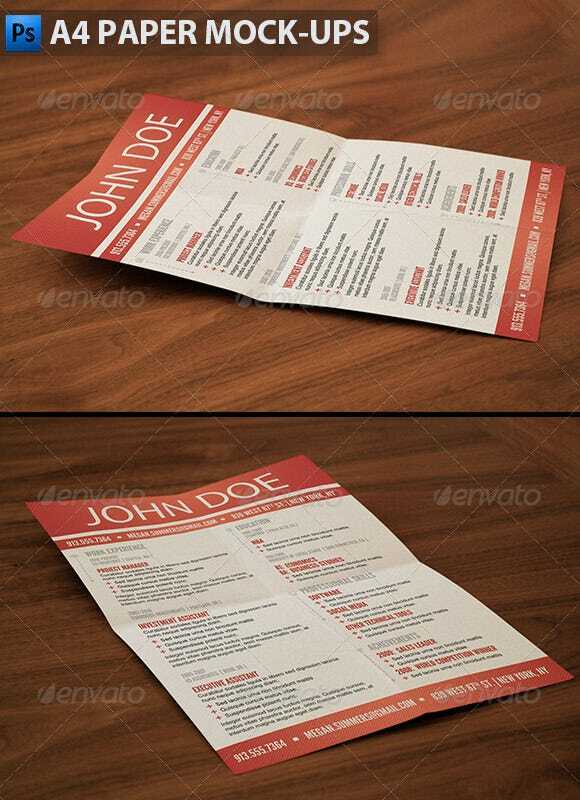 Also, make sure to follow your firm’s usual color, style and font in your mockup for letters or flyers or posters. If you are frantically searching the internet for great A4 paper PSD mockup templates, we extend a hearty welcome to you at template.net. Designed by experts, we have come up with a diverse collection of great mockup templates that will help you to create stunning office presentations with ease. Whether you want certificate mockup or mockups for letterheads or flyers or posters or resume templates– we have everything covered for you. 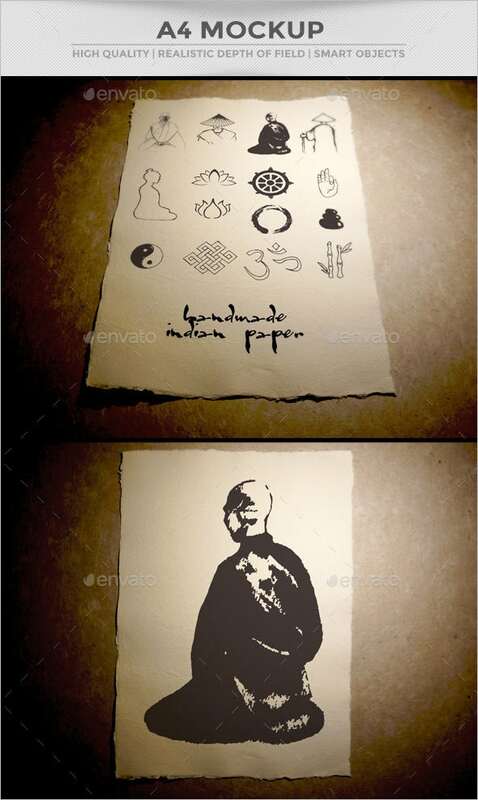 Here is a brief on some of our most popular paper mockups. 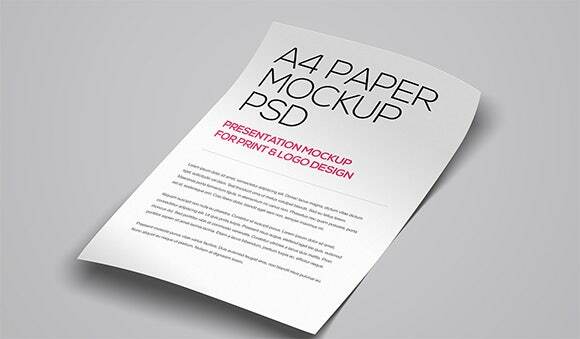 18+ Awsome Paper Bag Templates & PSD Mockups!